An ordinary DUI occurs in Arizona when one drives with a blood alcohol content (BAC) of more than .08 percent. Our state, however, will elevate the offense and issue stiffer penalties as the extent to which one is over the limit increases. Such elevated offenses are known as extreme DUI’s and super extreme DUI’s. These additional levels of severity come with higher fines, more jail time, and a longer period of license suspension. 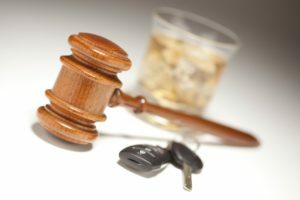 If you have received a driving under the influence charge that is considered “extreme” then contact our Phoenix criminal defense lawyer today. Arizona will charge one with an Extreme DUI if their BAC level is more than .15 but less than .20 percent. A BAC level of higher than .20 percent will be charged as a Super Extreme DUI. An Extreme DUI carries a mandatory minimum 30 day jail sentence while a Super Extreme DUI carries a mandatory minimum of 45 days. One will also be facing a 90 day license suspension, fines, drug and alcohol counseling, and community service. One convicted will also be required to have an Ignition Interlock Device (IID) placed on their vehicle for a period of time after their license is restored. Hiring an attorney will allow you to understand the exact penalties you are facing so that you can prepare for them, and also understand the options you may have regarding your sentencing. For example, different Courts in the Phoenix area have programs that allow for home detention or continuous alcohol monitoring instead of jail. You can also be eligible for work release from jail, but it must be arranged through the Court. Determining your actual BAC level is extremely important in defending an Extreme DUI. While law enforcement will only test your blood once, there are instances where a defense attorney can have it retested by his or her own expert. Hiring a lawyer who understands the process of disputing DUI testing is critical to your defense. Bretton Barber is a Phoenix DUI attorney handling cases where one is charged with an extreme circumstance of driving under the influence. Bretton will work to acquire all police records showing the steps which were taken to calibrate testing equipment, to properly handle evidence, and to determine the methodology that was used in conducting the tests. If the evidence shows that the police did not follow proper procedures then he will have the blood retested by an expert and file the appropriate motions to exclude the evidence. If these motions are successful then the criminal aspect of your case can be dismissed, or the charges can be reduced so that the penalties are far less severe. Call our office today to speak with a lawyer. In addition to Phoenix we represent defendants in other Maricopa County cities such as Mesa, Glendale, Scottsdale, Chandler, and Gilbert. We also assist Pima County residents in Tucson. The Arizona criminal courts and the Motor Vehicles Department (MVD) must be dealt with in any DUI case. The criminal courts are responsible for deciding the length of your jail sentence, your eligibility for work release, home detention or alcohol monitoring instead of jail, whether you have to serve community service, and the amount of your fines. The MVD will decide the length of your drivers’ license suspension and has its own guidelines regarding how long any suspension will last. Bretton Barber assists his clients throughout the MVD portion of a case while many criminal defense attorneys do not handle that issue. Having legal representation may mean getting your privileges back sooner rather than later and getting your life back on track. We are ready to assist you.